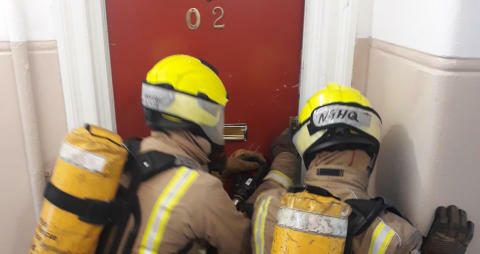 ng homes helped facilitate essential Scottish Fire and Rescue Service (SFRS) Breathing Apparatus (BA) training by having it take place at one of their properties last week. 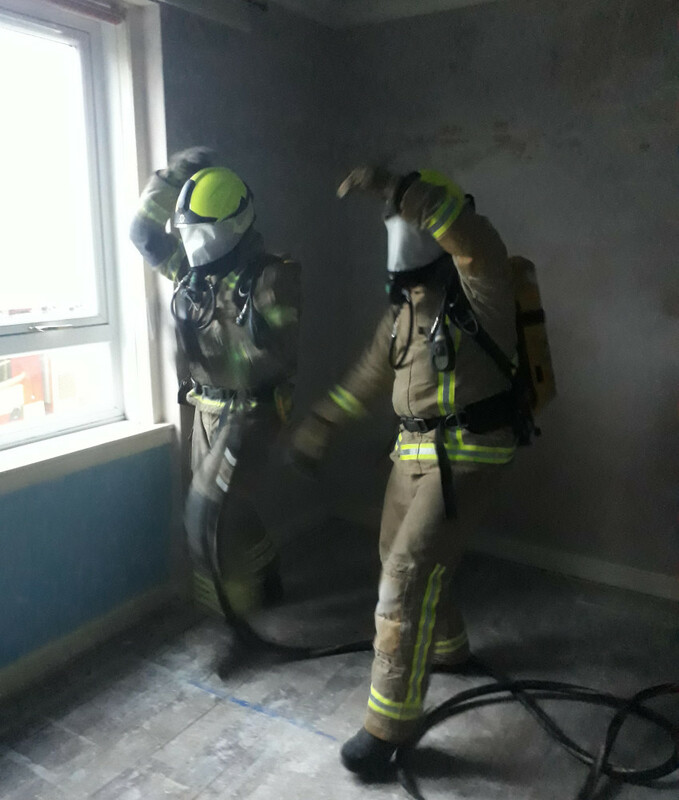 The unoccupied two bedroom flat in Springburn was made available to the SFRS crew from Springburn with the aim of creating a new and realistic training environment. This essential training will help prepare SFRS staff in the event of an actual fire. It is imperative that firefighters get this training to ensure they are best equipped to save lives in the future. The training specifically concerned BA teams from across watches being put through a variety of different search and rescue scenarios. Douglas Miller, SFRS Watch Manager for Springburn Fire Station, said “The training was of great value to a number of personnel who are approaching their firefighter competency assessments. ng homes was delighted to facilitate the training and help support the development of Glasgow’s firefighters. The Association is committed to supporting fire safety and building a closer relationship with key community organisations. ng homes pride themselves on strong links with the Scottish and Fire Rescue Services and it is a partnership which will continue to grow and develop. Our vision is to create a community where people can flourish and prosper.